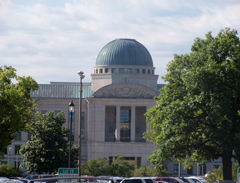 The Iowa Supreme Court has appointed a committee to review the rules that govern how the media are allowed to cover court cases. Court communications officer, Steve Davis, says the courts are still working under rules created in 1979. “So that’s more than 30 years ago, and as everyone knows, there’s been quite a few changes in the way the media covers the news,” Davis says. Davis says the current rules cover how many and what type of cameras can be present in the courtrooms. But now reporters are using laptops, tablets and all sorts of other electronic gear. “There’s cameras that shoot videos, there’s cellphones that shoot photos, there’s reporters who now serve as both photographers and videotographers and reporters as opposed to in the past where there’s just a reporter and videotographer,” Davis explains. “So, there’s many new technologies — blogging, tweeting, live chatting — that sort of thing that really didn’t exist even 10 years ago that judges are now asking to be allowed in the courtroom.” Davis says the committee will take a wide open look at possible changes in its first meetings. He says it’s a real diverse group from all over the state that includes different types of court users and different types of media. “It’s a similar system to the committee that was set up in 1979 and that worked really well. Once we narrow it down where the gray areas are in the rules, then the committee will work to make recommendations to the Iowa Supreme Court who will ultimately decide what if any rule changes are made,” Davis says. The first trial that used the expanded Iowa rules involved a murder in Black Hawk County in 1980. Davis says the Iowa Supreme Court would like to have the recommendations from the committee by July 31st of 2013.